Mesenchymal stem cell (MSC) chondrogenesis is associated with increases in intracellular reactive oxygen species (ROS), which may result in oxidative stress that is detrimental to cartilage regeneration. 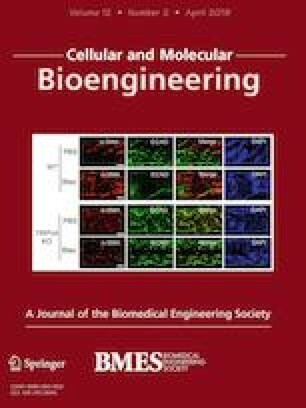 This study evaluated the ability of the antioxidants N-acetylcysteine (NAC) or pyrrolidine dithiocarbamate (PDTC) to reduce intracellular ROS, and their effect on MSC chondrogenesis and maturation of cartilage-like extracellular matrix. Equine bone marrow MSCs were cultured in serum-supplemented chondrogenic medium with or without NAC or PDTC. ROS was quantified in monolayer after 8 and 72 h of culture. MSCs were seeded into agarose, cultured for 15 days, and analyzed for viable cell density, glycosaminoglycan (GAG) and hydroxyproline accumulation, and collagen gene expression. PDTC cultures were evaluated for oxidative damage by protein carbonylation, and mechanical properties via compressive testing. NAC significantly lowered levels of ROS after 8 but not 72 h, and suppressed GAG accumulation (70%). In secondary experiments using serum-free medium, NAC significantly increased levels of ROS at 72 h, and lowered cell viability and extracellular matrix accumulation. PDTC significantly reduced levels of ROS (~ 30%) and protein carbonylation (27%), and enhanced GAG accumulation (20%). However, the compressive modulus for PDTC-treated samples was significantly lower (40%) than controls. Gene expression was largely unaffected by the antioxidants. NAC demonstrated a limited ability to reduce intracellular ROS in chondrogenic culture, and generally suppressed accumulation of extracellular matrix. Conversely, PDTC was an effective antioxidant that enhanced GAG accumulation, although the concomitant reduction in compressive properties is a significant limitation for cartilage repair. Associate Editor Michael R. King oversaw the review of this article. Suwimol Tangtrongsup declares that she has no conflict of interest. John Kisiday owns stock in Advanced Regenerative Therapies and Regenerative Sciences.